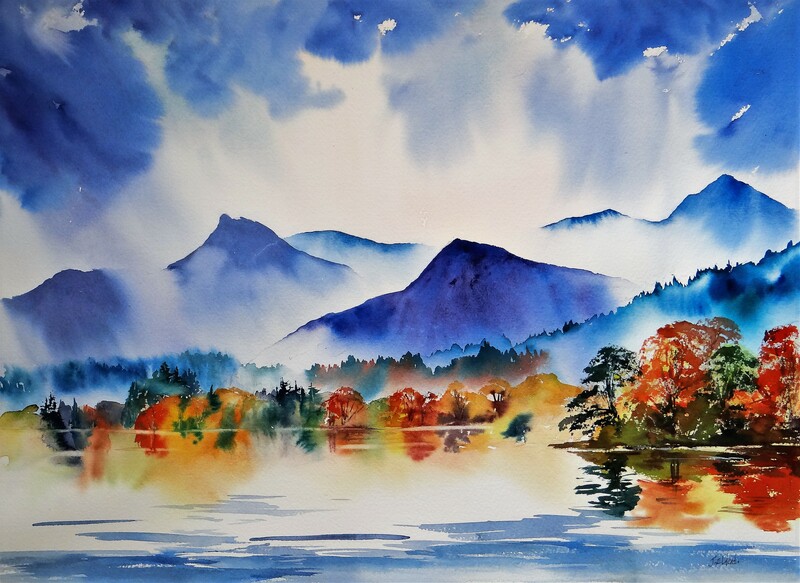 I’ve being lucky enough to paint on the Island, this magical place on Derwentwater is owned by the National trust. Taking a small boat across, you feel like you are in a mini world all of your own, with 360 degree views it really would be a rather pleasant place to live. One of the most beautiful Lakes in the English Lake District, looking towards the Jaws of Borrowdale. Causey Pike, Eel Crag, Barrow and Grizedale Pike all beautiful shaped mountain peaks.